The Capitol Hill Fellowship Program is designed for executives and managers who require a high-level working knowledge of Congress. 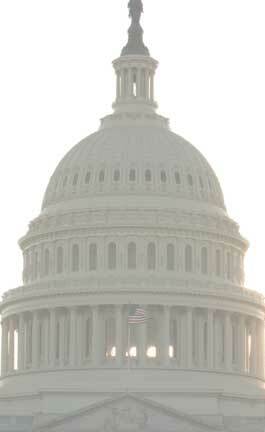 The congressional fellowship may be used to fulfill requirements in certain management or executive development programs. The orientation begins in early December and covers congressional organization and process, as well as methods and support in securing an assignment with the Congress. Fellows start assignments in early to mid-January. Fellows receive instruction and hands-on experience on Capitol Hill through training and developmental activities consisting of an intensive orientation, periodic seminars, and attendance at GAI’s Advanced Courses and a Workshop. Fellows serve in a full-time assignment on the staff of a Member, committee, or support agency of Congress in Washington, DC. The Program is offered as a 7- or 12-month session, both of which begin with an orientation in December. Fellows are eligible to enroll in any or all of GAI’s Advanced Courses and one Workshop during the term of their fellowship at no additional cost. By doing so, they can complete two-thirds of the requirements toward Georgetown’s Certificate Program in Legislative Studies. Qualifications include a minimum grade level of GS/GM-13 or military equivalent; at least two years of federal service; a bachelor’s degree from an accredited college or university; demonstrated flexibility in work habits; and an ability to work independently in an unstructured environment. Most agencies require employees to apply through a designated coordinator or board within the agency. You can inquire with the agency’s training officer. We will accept applications any time prior to the end of October. Please be advised that in some agencies the internal application process begins as early as ten months before the start of the fellowship. For more information, please call Worth Hester at (202) 333-4838.